WARNING: Older adults with dementia may have a slightly increased risk of death when taking this medication. Most deaths have been due to heart problems (such as heart attack, heart failure) or serious infections (such as pneumonia). This medication is not approved for the treatment of dementia-related behavior problems. Talk with the doctor about the risks and benefits of treatment with this medication. If you are using quetiapine in combination with other medication to treat depression, also carefully read the drug information for the other medication. HOW TO USE: Read the Medication Guide and, if available, the Patient Information Leaflet provided by your pharmacist before you start using quetiapine and each time you get a refill. If you have any questions, ask your doctor or pharmacist. Take this medication by mouth as directed by your doctor, usually once daily in the evening without food or with a light meal. Do not crush or chew this medication. Doing so can release all of the drug at once, increasing the risk of side effects. Also, do not split the tablets unless they have a score line and your doctor or pharmacist tells you to do so. Swallow the whole or split tablet without crushing or chewing. The dosage is based on your medical condition and response to treatment. To reduce your risk of side effects, your doctor may direct you to start this medication at a low dose and gradually increase your dose. Follow your doctor's instructions carefully. Take this medication regularly to get the most benefit from it. To help you remember, take it at the same time each day. It is important to continue taking this medication as prescribed even if you feel well. Do not stop taking this medication without consulting your doctor. Some conditions may become worse when this drug is suddenly stopped. Also, you may experience symptoms such as trouble sleeping, nausea, headache, diarrhea, irritability. Your dose may need to be gradually decreased to reduce side effects. Report any new or worsening symptoms immediately. Tell your doctor if your condition persists or worsens. SIDE EFFECTS: Constipation, drowsiness, upset stomach, tiredness, weight gain, blurred vision, or dry mouth may occur. If any of these effects persist or worsen, tell your doctor promptly. Dizziness or lightheadedness may occur, especially when you first start or increase your dose of this drug. To reduce the risk of dizziness and lightheadedness, get up slowly when rising from a sitting or lying position. Remember that your doctor has prescribed this medication because he or she has judged that the benefit to you is greater than the risk of side effects. Many people using this medication do not have serious side effects. Tell your doctor right away if any of these unlikely but serious side effects occur: restlessness/constant need to move, shaking (tremor), signs of infection (such as fever, persistent sore throat), mental/mood changes (such as increased anxiety, depression, thoughts of suicide), difficulty swallowing. Get medical help right away if any of these rare but serious side effects occur: fainting, fast/irregular heartbeat, seizure, severe dizziness. This medication may infrequently make your blood sugar level rise, which can cause or worsen diabetes. Tell your doctor immediately if you develop symptoms of high blood sugar, such as increased thirst and urination. If you already have diabetes, be sure to check your blood sugars regularly. Your doctor may need to adjust your diabetes medication, exercise program, or diet. This drug may also cause significant weight gain and a rise in your blood cholesterol (or triglyceride) levels. These effects, along with diabetes, may increase your risk for developing heart disease. Discuss the risks and benefits of treatment with your doctor. (See also Notes section.) Quetiapine may rarely cause a condition known as tardive dyskinesia. In some cases, this condition may be permanent. Tell your doctor immediately if you develop any unusual/uncontrolled movements (especially of the face, lips, mouth, tongue, arms or legs). 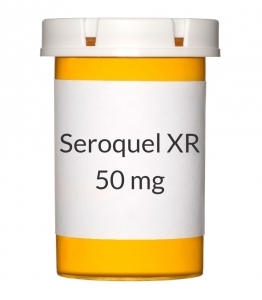 This drug may rarely cause a serious condition called neuroleptic malignant syndrome (NMS). Get medical help right away if you develop the following: fever, muscle stiffness, severe confusion, sweating, fast/irregular heartbeat. Quetiapine may increase a certain natural substance (prolactin) made by your body. For females, this increase in prolactin may result in unwanted breast milk, missed/stopped periods, or difficulty becoming pregnant. For males, it may result in decreased sexual ability, inability to produce sperm, or enlarged breasts. If you develop any of these symptoms, tell your doctor immediately. Rarely, males may have a painful or prolonged erection lasting 4 or more hours. If this occurs, stop using this drug and get medical help right away, or permanent problems could occur. A very serious allergic reaction to this drug is rare. However, get medical help right away if you notice any symptoms of a serious allergic reaction, including: rash, itching/swelling (especially of the face/tongue/throat), severe dizziness, trouble breathing. This is not a complete list of possible side effects. If you notice other effects not listed above, contact your doctor or pharmacist. In the US - Call your doctor for medical advice about side effects. You may report side effects to FDA at 1-800-FDA-1088. In Canada - Call your doctor for medical advice about side effects. You may report side effects to Health Canada at 1-866-234-2345.